After a year of self healing, of pondering on my mistakes and what happened to my life ... 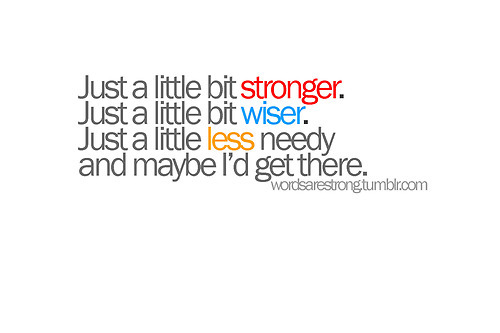 I realize that finally, I am a little bit stronger, a little bit wiser, and a little less needy. 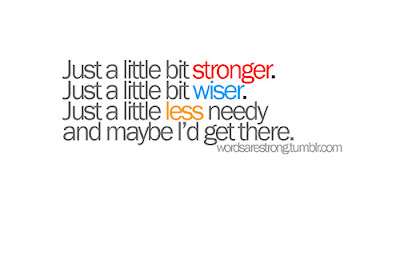 Just a little bit more, and I will be there .. where I need to be; where I deserve to be. It has taken almost a year and a lot of tears and support from my family and friends, but I am slowly getting there.